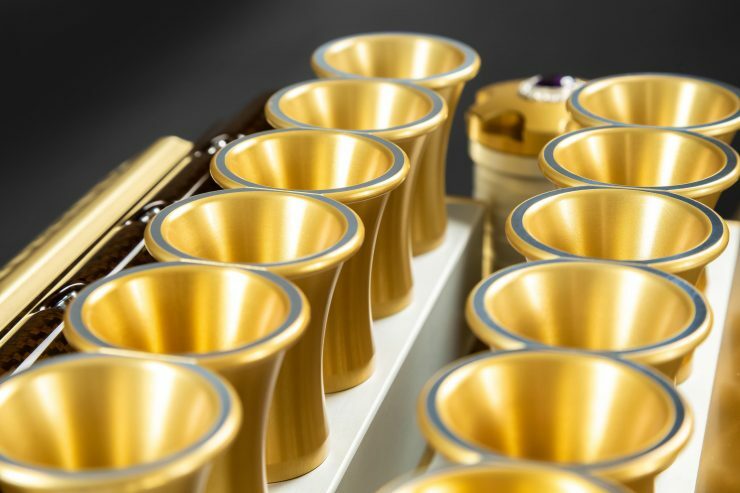 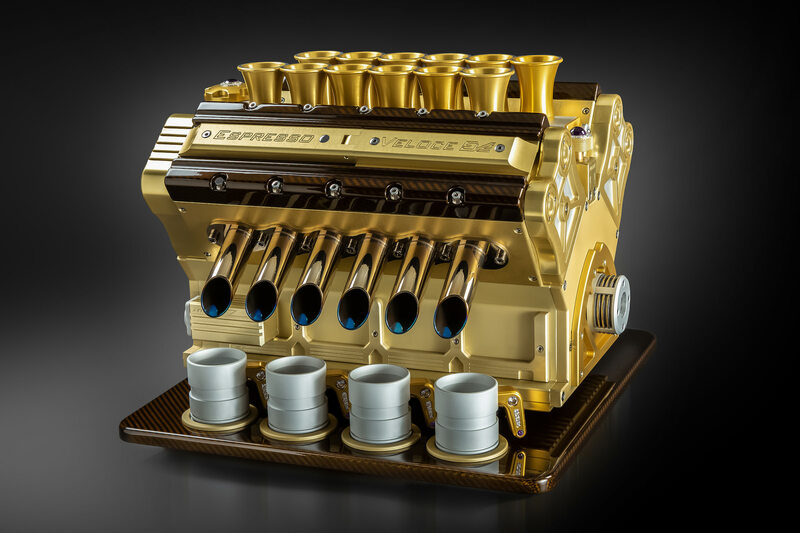 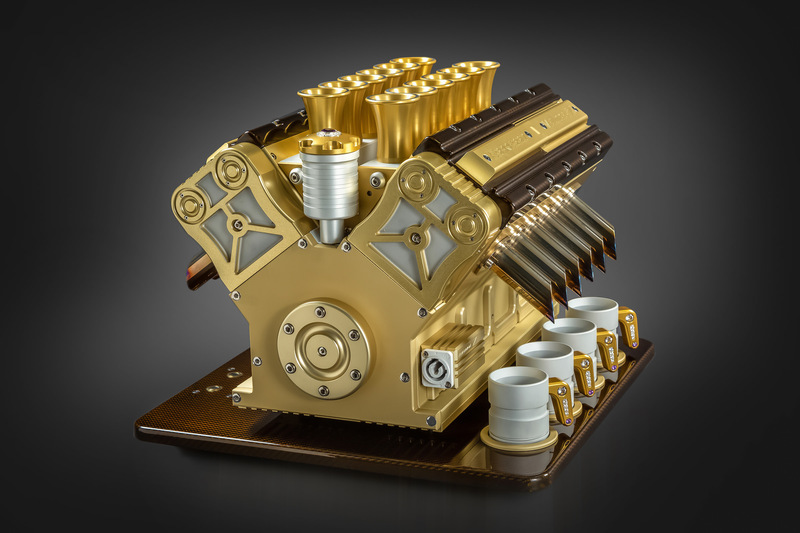 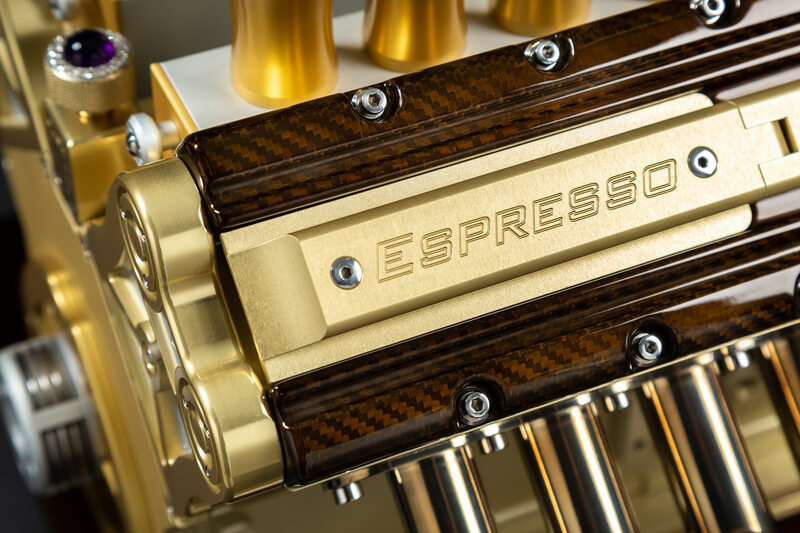 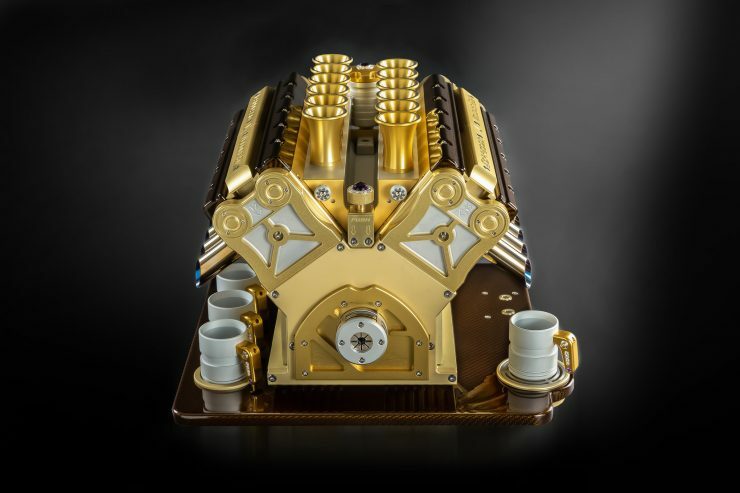 The Espresso Veloce Royale is almost certainly the most opulent espresso maker released this year, it was designed for those of you who have a super yacht or a helipad in your backyard, the rest of us lower down on the economic scale will have to stick with our trusty french presses for now. 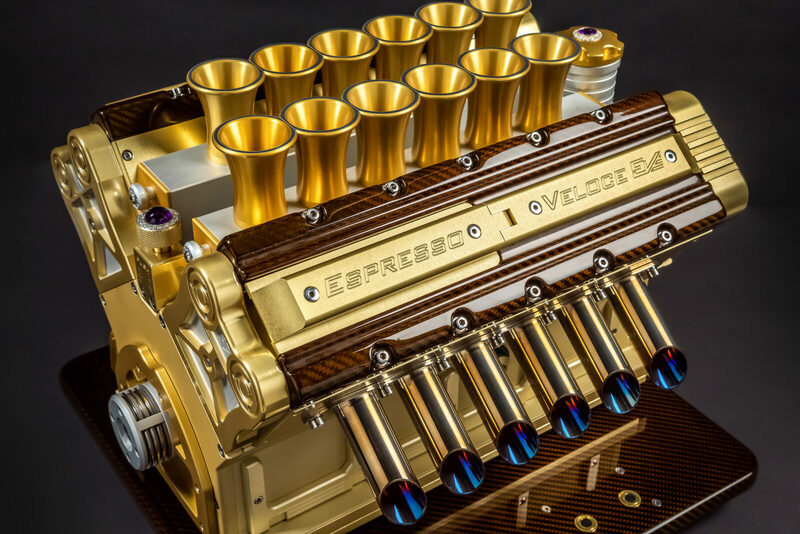 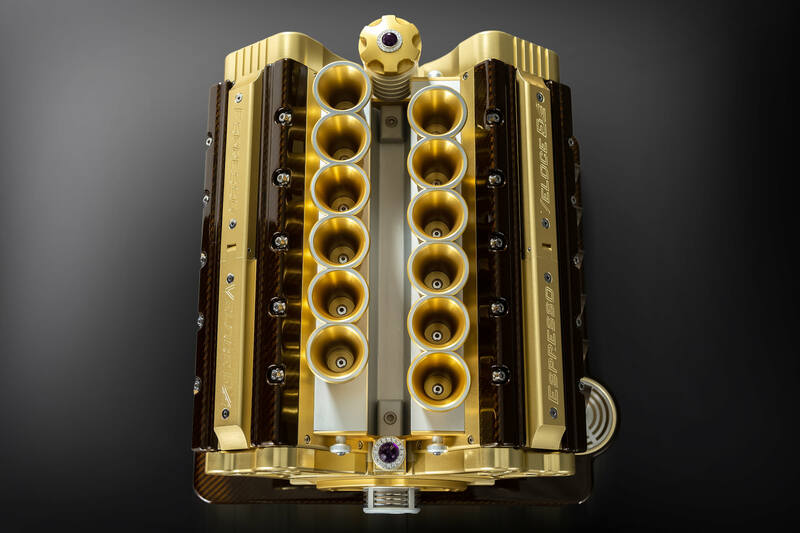 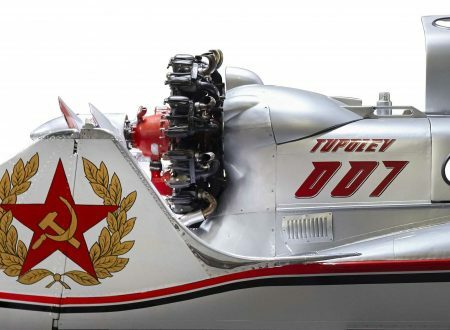 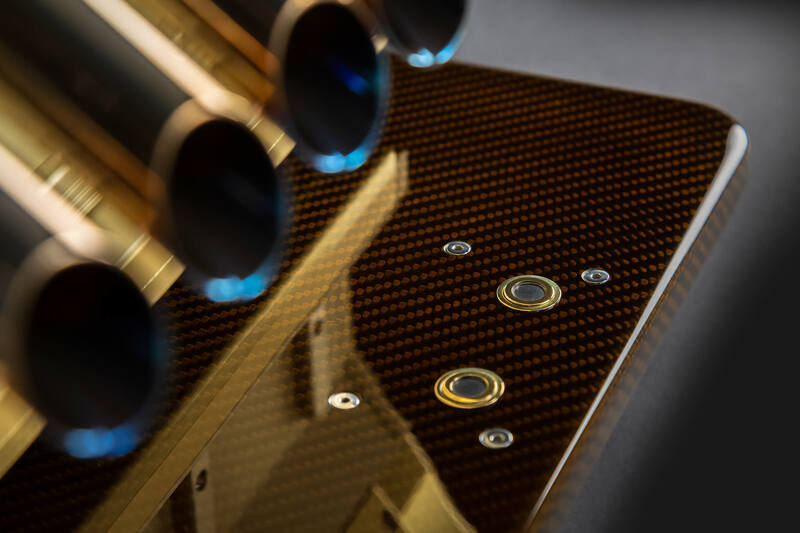 The machine is designed to evoke the look of a classic V12, with 12 velocity stacks along the top and 12 “exhaust pipes” along each side, with the righthand bank of pipes acting as the espresso dispensers. 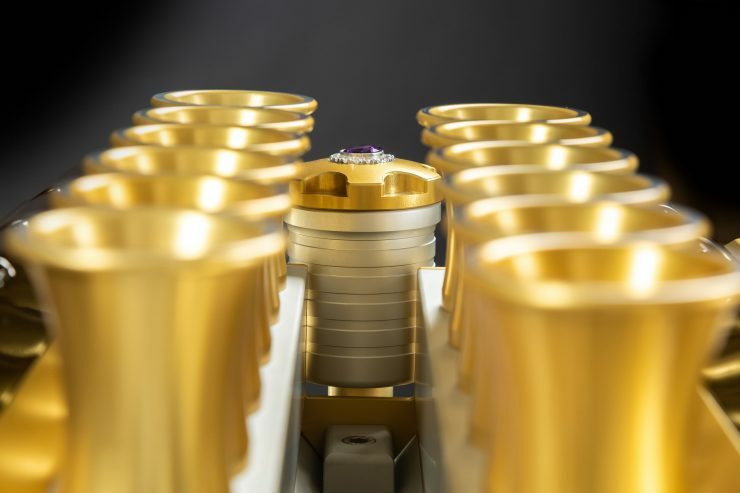 Each Royale is made from a combination of anticorodal 6082 T6, aerospace grade 7075 alloy, stainless steel 316 titanium, surgical stainless steel grade 304, 18ct white gold, diamonds, Royal Purple Amethyst and thermoset gold lead carbon fibre. 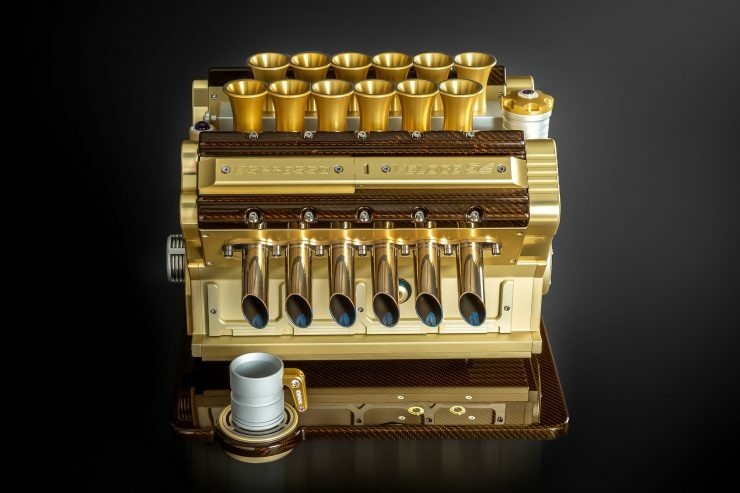 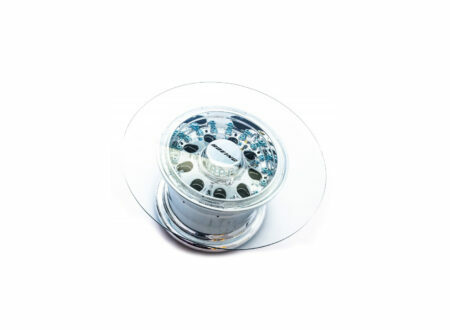 The machine uses coffee capsules as they require minimal cleaning and maintenance while producing reliably good espresso. There’s an integrated grappa dispenser too, a feature sorely lacking on most other coffee makers. With a total weight of 28 kilograms and dimensions of 380 mm L x 420 mm W x 340 mm H the Espresso Veloce Royale will feat neatly on most kitchen countertops. Input voltage can vary between 110 to 240 V which covers almost all world markets and matching cups can be ordered to match the machine. 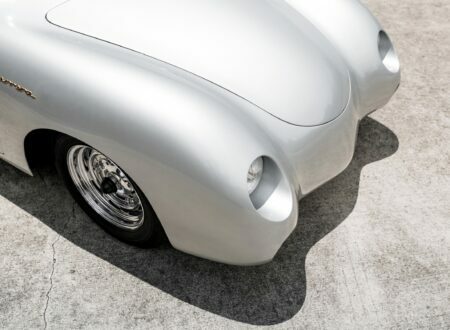 A couple of years later in 1957, Dean Jeffries set about customizing a Porsche 356A Carrera GS he’d bought secondhand, he wanted to showcase his abilities as a body-man as well as a painter, and he knew the best way to do this was to create a show car.